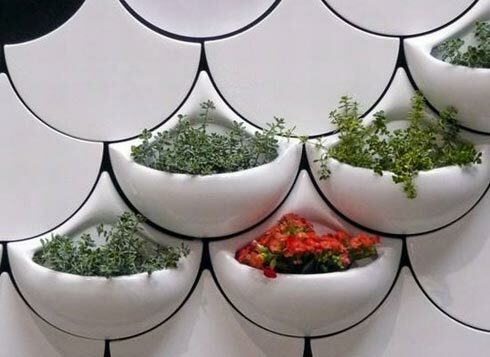 These unique wall-mounted planters grow flowers, succulents, ferns and ivies indoors right on your living room wall. The plants grow in a planting grid, while a white cedar wood frame houses a watering tray on top that trickles water down to each pocket in the grid. All excess water is collected in a tray on the bottom. If you love nature and plants these wall-mounted planters and freestanding models are an easy way to add a breathtaking plant display to your home. These wall panters it is a very good idea, and you can have it for $160 from here.